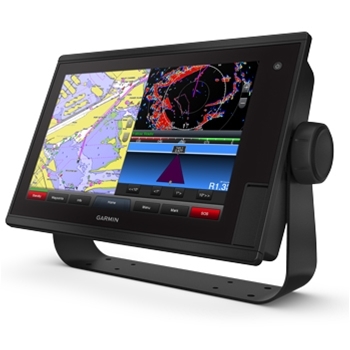 12” Touchscreen Chartplotter with Coastal & Lake Maps! 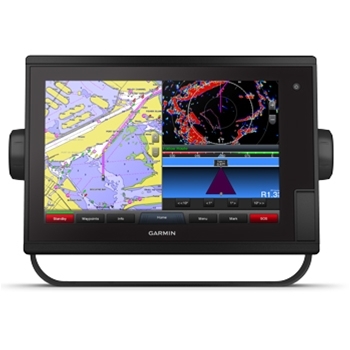 Garmin's GPSMAP 1242 Touch is an awesome choice for boating enthusiasts who are looking for a Super Bright, Sunlight Viewable 12” Multi-Touch MFD, that’s priced very competitively. Built in US Coastal and Inland Lake charting provide navigational detail such as buoys, markers, contour lines, spot soundings, and more! With its NMEA 2000 and Garmin Marine Networking capabilities you’re able to add sonar modules, marine cameras (including the Garmin GC200), AIS, Radar, and much more. The GPSMAP 1242 has support for FLIR thermal cameras, the Garmin GRID keypad, GXM53 marine weather and audio receiver, Garmin VIRB camera streaming and more. NMEA 2000 networking allows you to share data along the network and even view and control your Fusion-Link compatible stereo right from the MFD’s screen. Pair your 1242 with the built-in Wifi to support Garmin's ActiveCaptain app on a compatible smart device. Along with the ability to view and control the MFD from a compatible smartphone or tablet you can access OneChart for chart updates and new chart purchases, use the ActiveCaptain App for shared information from other boaters about Marinas and other POI’s. Create and transfer waypoints and routes from your smart device to your plotter and even receive smart notifications on your display – texts, emails and calls are right there at your fingertip. The GPSMAP 1242 Touch is compatible with the GCV 20 Sonar module which includes the GT34UHD transducer. With the GCV20 you can get scanning sonar images in ultra high-definition. The 1242 also supports Panoptix all-seeing transducers and even has Garmin's quickdraw contours feature (when paired with appropriate transducer) to create your own fishing contour charts. BlueChart g2 covers the entire Coastal US and even the Canadian side of the Great Lakes. The Bluechart G2 has basic navigational detail to get you where you want to be. LakeVü HD provides highly detailed freshwater maps that include over 17,000 U.S. lakes, rivers and reservoirs. Over 13,000 of those lakes have down to 1’ contours. The Garmin 1242 Touch supports the Garmin inReach Mini Satellite Communicator which allows users to select from a list of preset responses to communicate with friends and family directly from your chartplotter. For the ultimate navigation experience, purchase the optional Bluechart HD Vision for coastal or LakeVu HD Ultra card for your area, and gain access to Aerial photography, Satellite imagery, 3d views of the bottom, auto guidance and other great features! 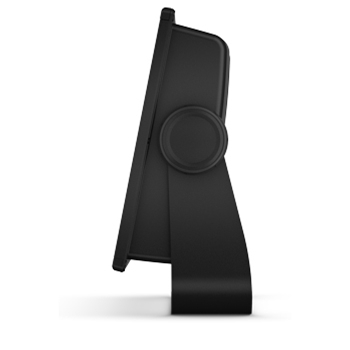 10Hz Internal GPS Antenna and ability to mark up to 5,000 waypoints!